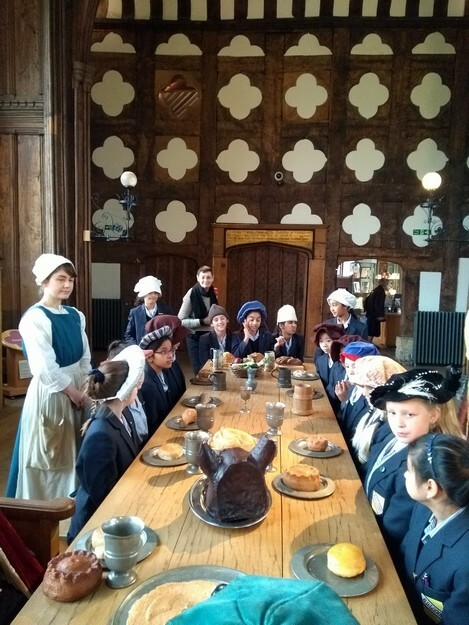 Year 5 have been travelling through time this week on their trips to Ordsall Hall in Salford. 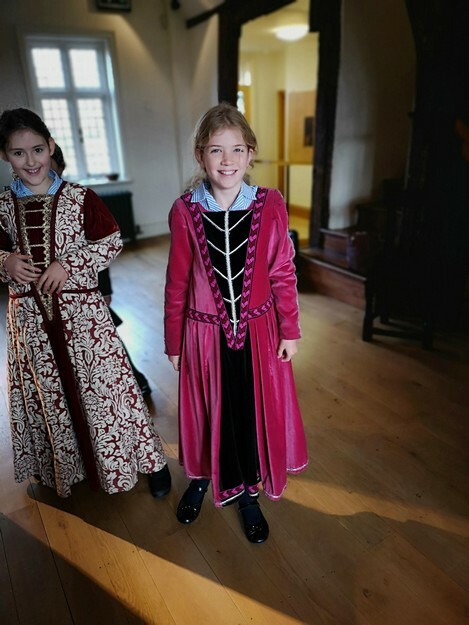 The large former manor house is over 750 years old and still retains features dating back to the 15th century – which upon arrival our girls were very careful not to touch! 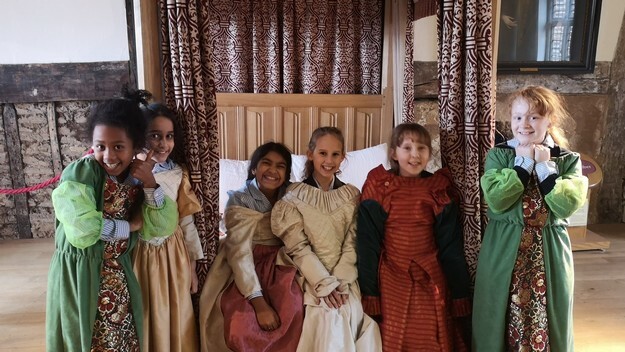 In school, the girls have been learning all about the Tudor dynasty and so the trips have been appropriately timed to allow the girls to see their studies come to life. 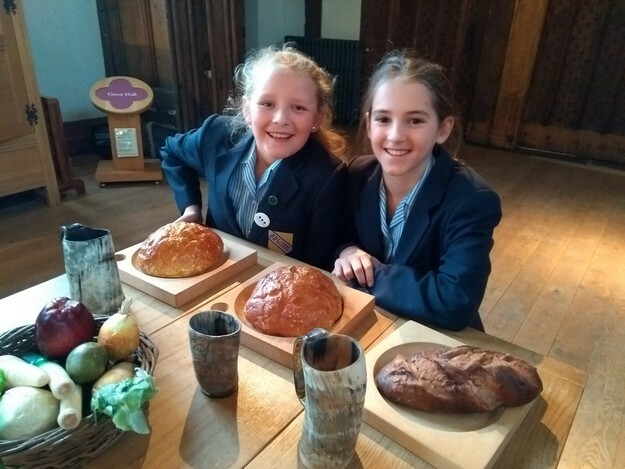 After an introduction to ‘Lady Matilda’ and her ‘head housekeeper Annie’, the girls enjoyed a role-play feast in the main hall, in which they learned all about the varying meats, vegetables and breads different guests would have eaten during those times. 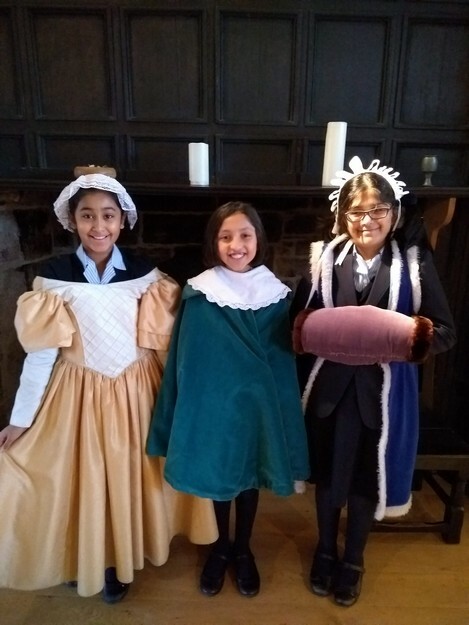 In an activity designed to teach the girls all about Tudor crime and punishment, they enjoyed a hunt around the main hall in search of a stolen penny. 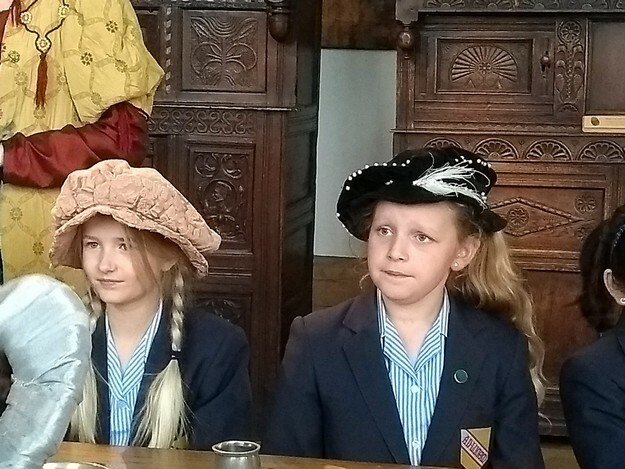 After 10 minutes of hunting to little avail, the girls were worryingly quick to conclude that their teachers must be the thieves and relished the opportunity to therefore send them to the stocks! 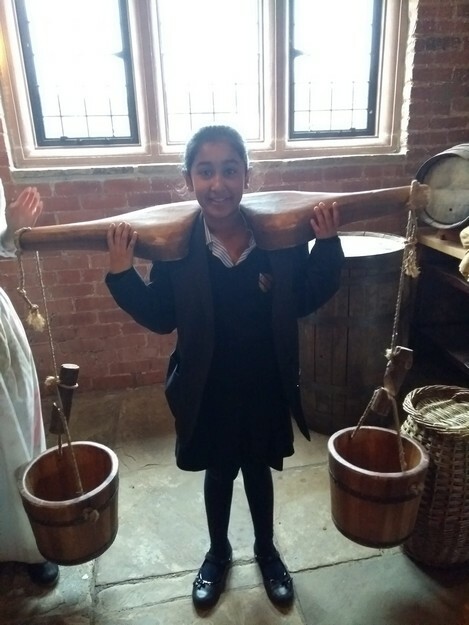 After being split into two groups, the girls then enjoyed tours of the hall, from the kitchen, through the garden, to the attic and all through the various bedchambers. 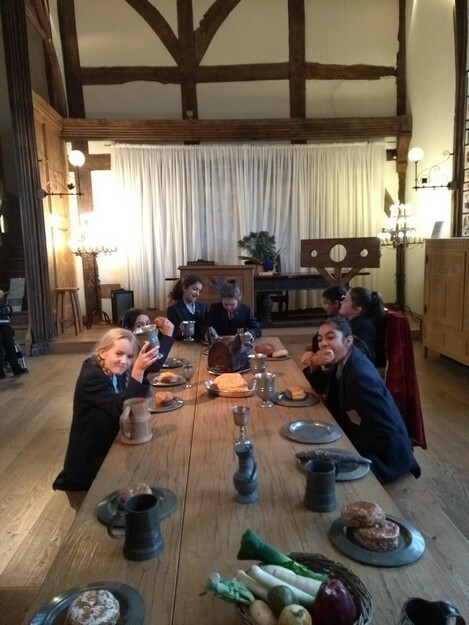 In the kitchen, the girls enjoyed learning about the different herbs and spices Tudor cooks used to roast their meats in, and were even offered the job of turning the spit roast over the fire for the measly wage of a penny a week! 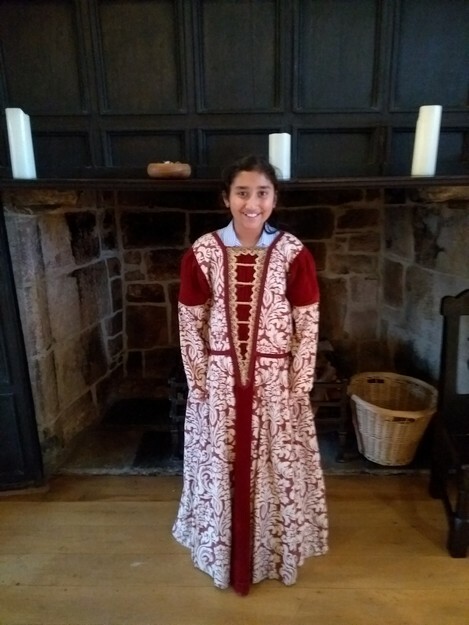 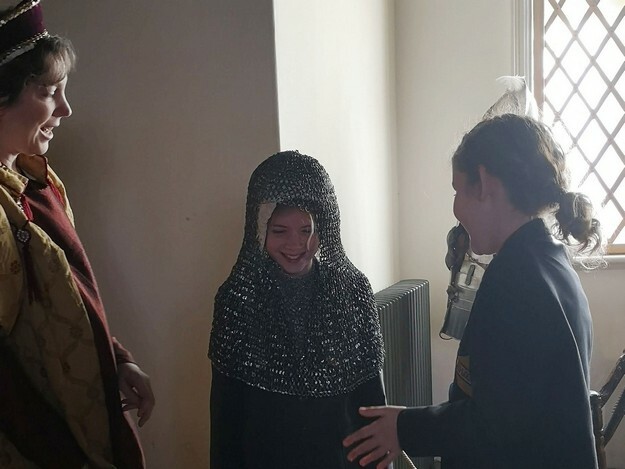 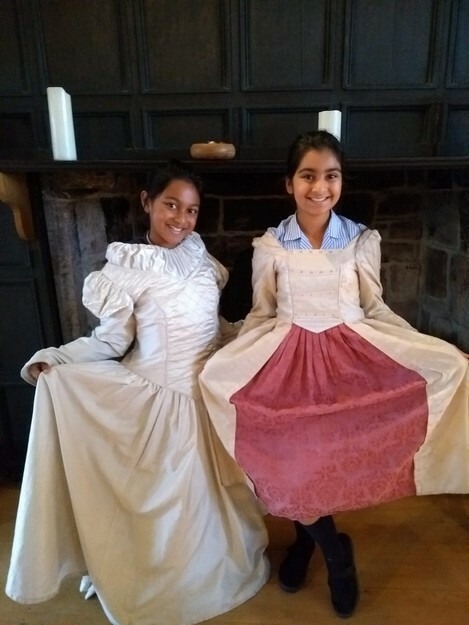 In the bedchambers, our girls learned about Tudor fashion and were introduced to all the different parts of a Tudor knight’s armour and how a squire would be responsible for keeping it in check. 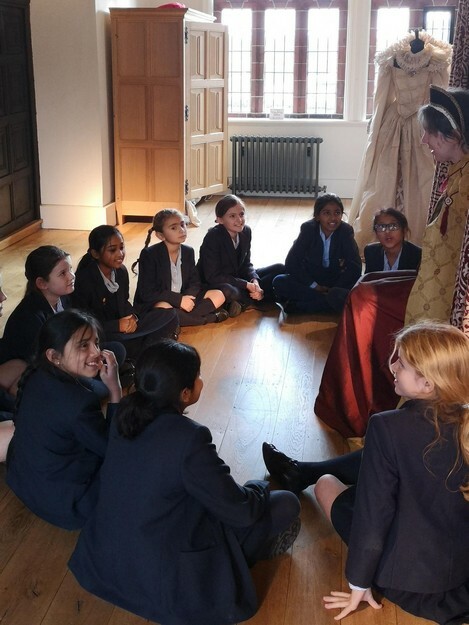 In the light and airy lady’s bedchamber, Lady Matilda told us about the importance to Tudor aristocracy of smelling fresh, as they believed that illnesses and disease travelled through the air in the form of bad smells. 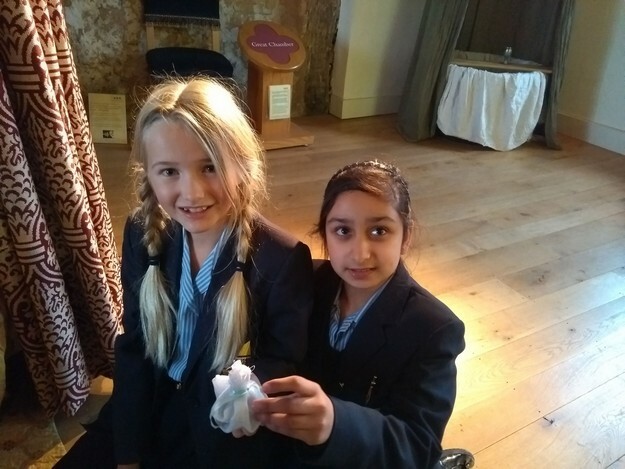 In an attempt to preserve their own health, the girls then had the opportunity to make their very own ‘herb bags’ filled with lavender, mint, lemon balm and chamomile, which now hang in their classrooms working their medicinal magic. 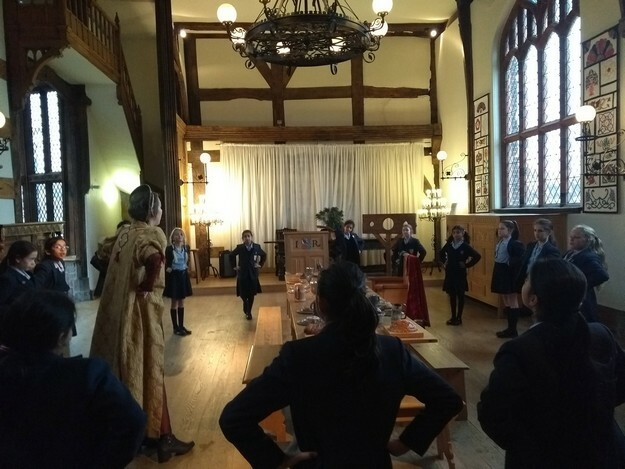 At the end of each day, the two groups came back together one final time in the main hall and were taught some traditional Tudor dances; one for the aristocrats by Lady Matilda, and one for the servants by Annie. 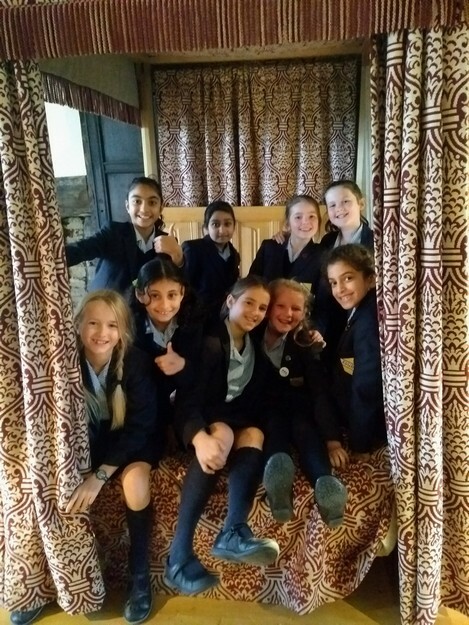 All in all, the girls enjoyed the trips immensely and now look forward to learning even more about this fascinating period of history back at school in their classrooms.